For this contemporary home in a naturally wooded setting, OvS designed an entrance courtyard and a series of inviting gardens. 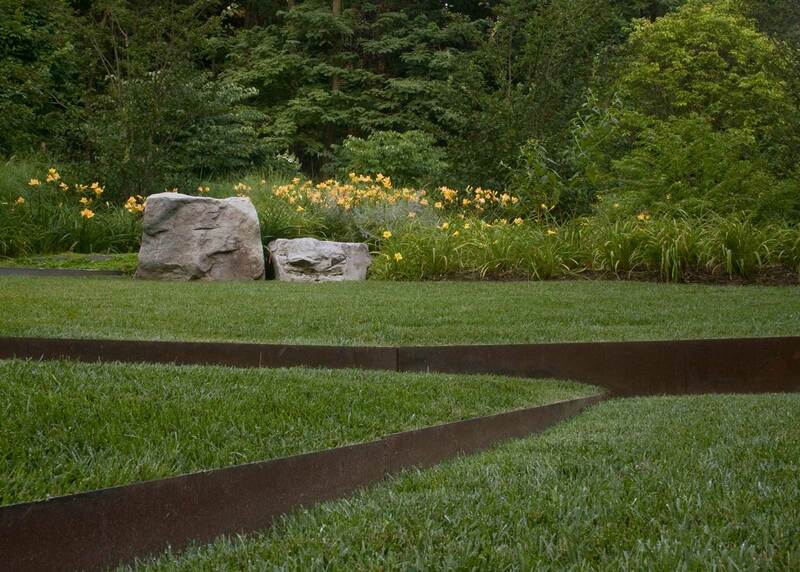 A sculpted lawn terrace bisected with corten steel—a modern take on a traditional garden element—is surrounded with flowering trees, colorful perennials, native and ornamental grasses. 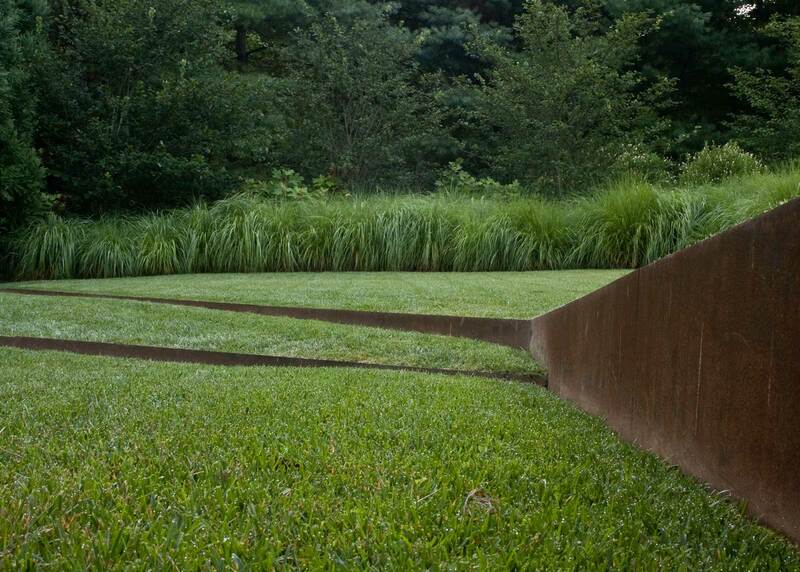 Lawn steps transition to angular bluestone steps, leading to a path that invites family members and visitors to stroll around the planted edge of a woodland pond.